As Ibiza residents we obviously love the clubs! Glitterbox and In Your Dreams is a match made in disco heaven! We spread so much sparkle that even the drag queens come back for more. With snaking queues from both our Secret and Magic Garden glamstations of Hi Ibiza every Friday... always worth the wait to get involved in the dreamy disco vibe - when in Rome! 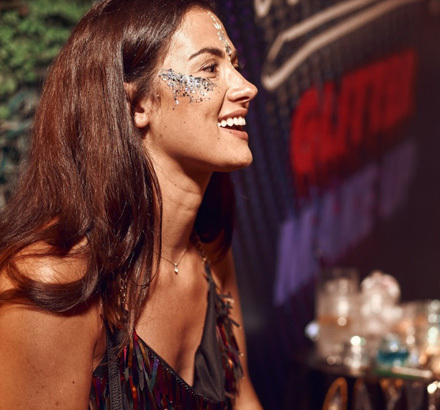 You will find us at Rumors every Sunday where Guy Gerber himself and many of his guest DJS will request an In Your Dreams make over for their set. The vibe and the scenery are superdreamy and the tunes are banging! 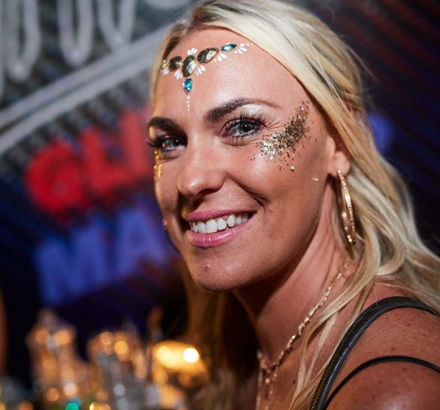 On Mondays we are in the island and indeed the World's largest club - Privilege, uniting the trance tribe in the vista club with UV paint and gems galore for Paul Van Dyk's Shine. Throughout July and August we are at Mischief at Atzaro and we will also be at Cosmic Pineapple at Pikes. 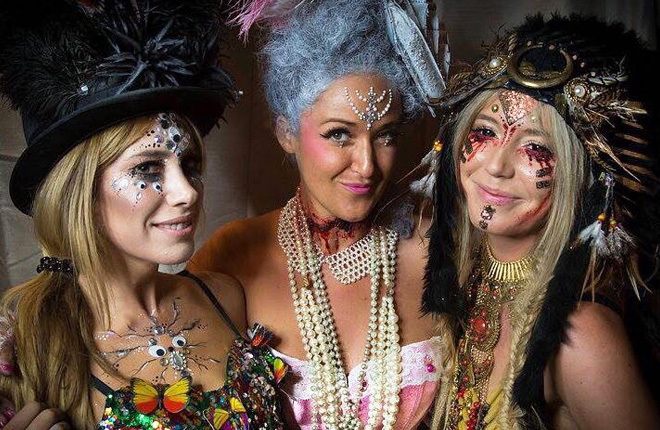 We are at lots of special one-off events throughout the year - our favourite of which is Halloween at Atzaro; where we perform equally glittery and gruesome In Your Nightmares makeovers. In your dreams have been doing their thing at our Glitterbox Ibiza events for 3 years now - they are an integral part of our Glitterbox family and experience! The girls are the first point of call for our clubbers, getting into the Glitterbox spirit with beautifully adorned faces by the team - needless to say they are a popular feature, with huge queues from the second the club opens - they always manage the workload quickly, professionally and with personality - producing amazing creations for every customer! Thank you for all of your amazing work girls. "they always manage the workload quickly, professionally and with personality"